What, when and how are we doing? 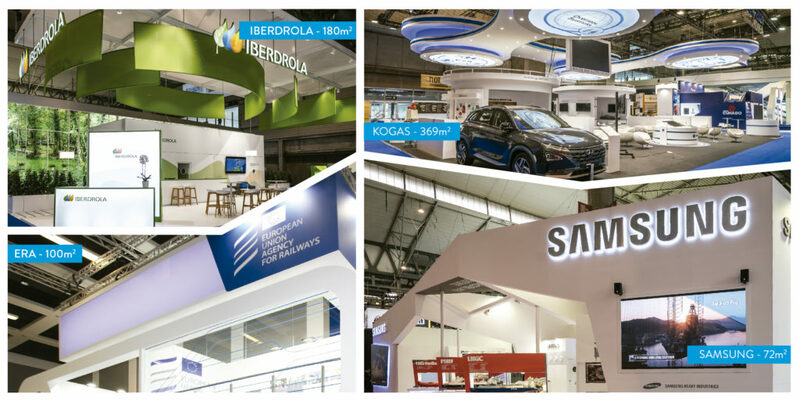 2,500 sqm were designed and built by PRO EXPO at MWC 2019! 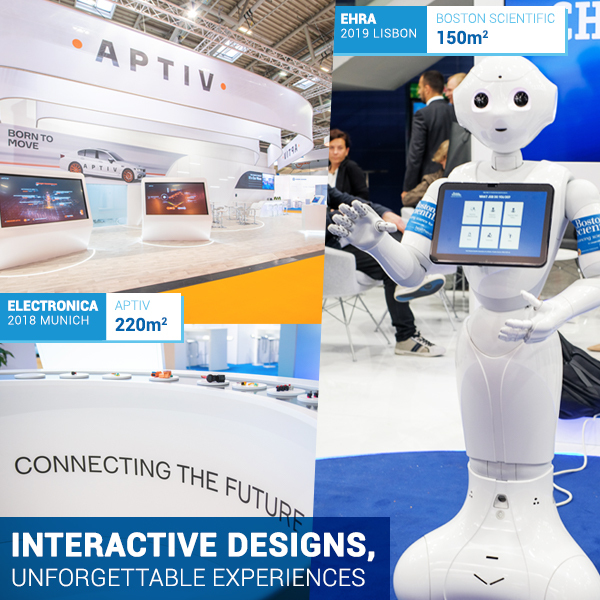 MWC 2019 in Barcelona was the opportunity to showcase our ability to multi-task and create superior designs and quality stands, with 17 separate projects completed on time to the high standard we’ve become known for. We covered an area of more than 2,500m2 at this prestigious event for Commscope (260m2), Marvell (200m2) and Comba (180m2) to name just 3. Nestlé’s 113m2 stand also took pride of place at Infarma held in Barcelona in March. Iberdrola’s official provider, we have designed and build about 8 projects to date. Check out their 140 sqm booth at E- World in Essen. Van de Wiele who have worked with us before and who’ve gone all out with their 1,200m2 for ITMA, next June in Barcelona. We offer a local service, at the best price, storage and transportation of your stand and the ability to reuse elements in future designs. 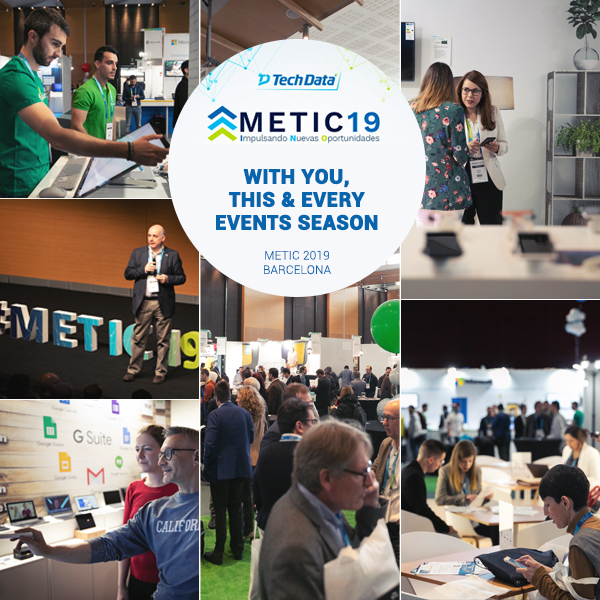 Tech Data, a renowned leader in the technology sector, entrusted us with the organization of this important event for the 3rd consecutive year. We designed the layout of the numerous spaces including the 1,600 sqm partner zone, with more than 40 booths. Pro Expo took care of the event decoration, printing, installation, catering, amongst numerous other services. 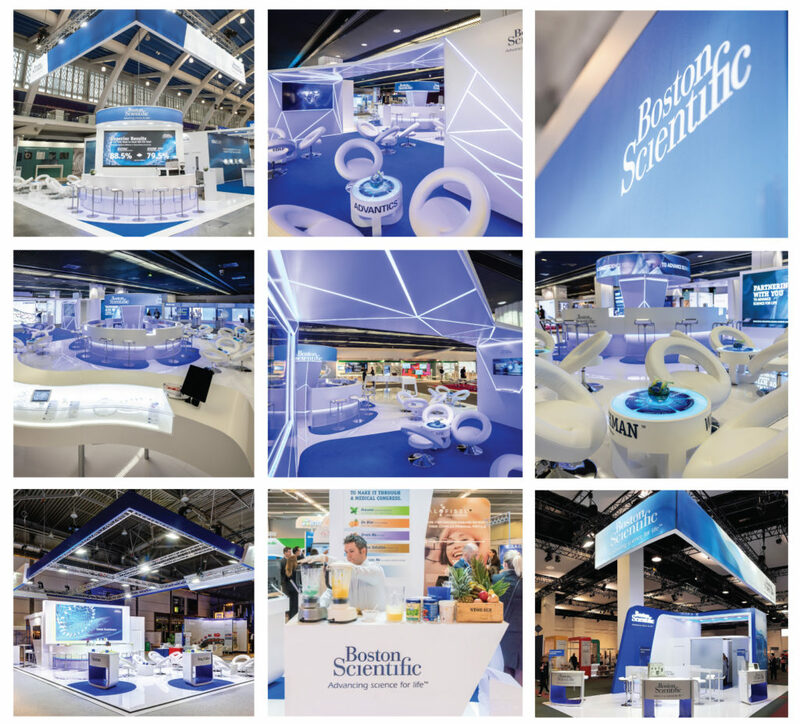 PRO EXPO became BOSTON SCIENTIFIC’s official supplier for congresses and exhibitions in 2016. The number of stands built for this trusted client has increased year on year, with 23 in 2016, 26 booths in 2017, reaching 30 projects completed by the end of this year. When we say we take care of everything for our clients, we mean we pull out all the stops so our clients have the best fair experience yet. This is more than just building a stand; it’s about interior design, innovative product placement, creating spaces that inspire and that are conducive to great conversations and networking. 28 stands – 9 cities- 13 trade shows! in 4 weeks! Ever the international globetrotters, we’ve been busy to say the least this past season! 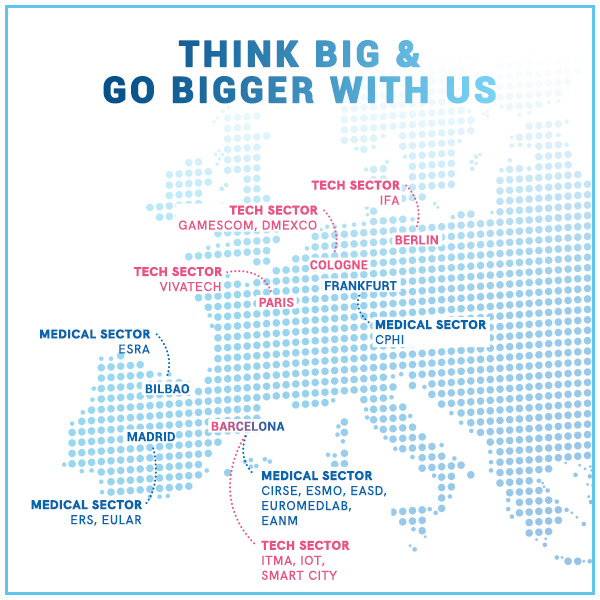 In a little under 3 weeks, we were present in 9 cities, at 13 fairs across several sectors and created 28 - yes 28! - stands of the impressive dimensions that we’re famous for worldwide. 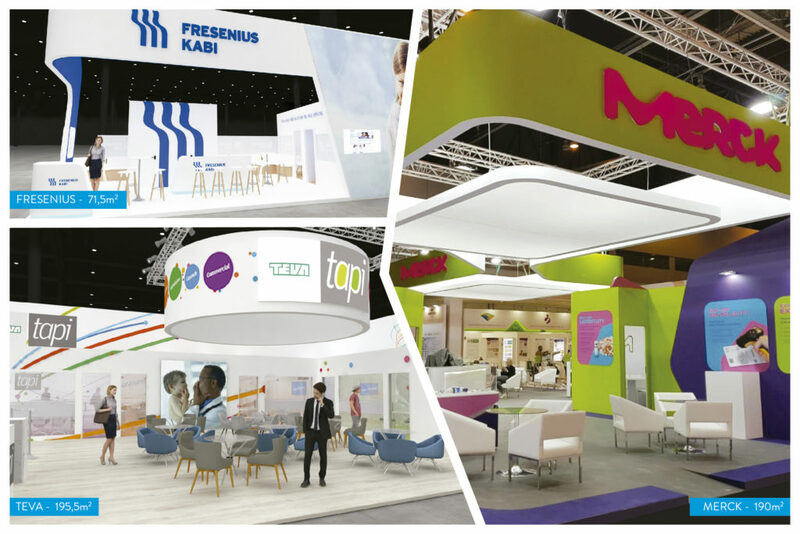 Our international team of Project Managers built 5 beautiful and functional stands at the last edition of VITAFOODS trade show. We go the extra mile with our professional event organization, taking care of event layout, graphic design, audiovisuals and even catering and hostesses, with Project Managers on site to ensure you’re running a tight ship. If you want something done right, leave it to the experts. Putting your brand image and good name in our hands will be the best decision you’ve made to date. Simplify what seems to be so time consuming. Get it right with the stand experts. 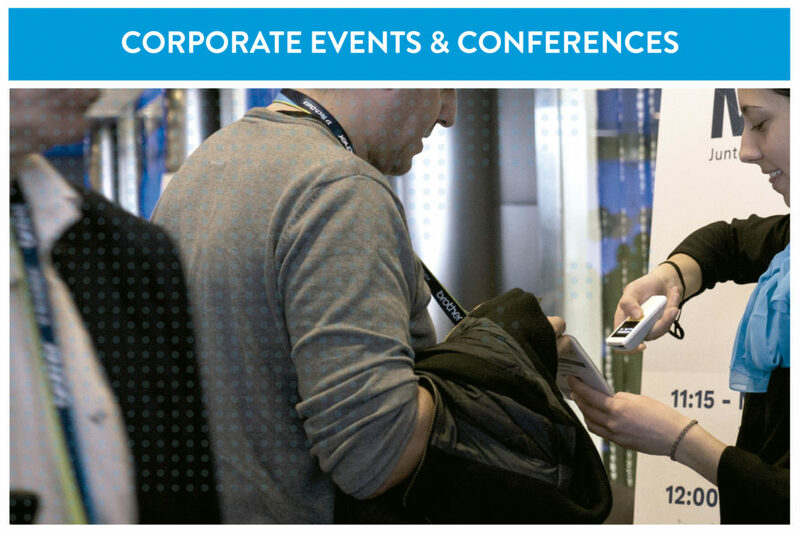 Let’s partner up to be your stand supplier in the EMEA region.